What is the Most Common Form of Mesothelioma? What is the Most Common Type of Mesothelioma? At The Williams Law Firm, P.C., in New York City, our mesothelioma trial lawyers have litigated cases on behalf of clients who are at various states in their cancer treatment, and who are battling the different types of mesothelioma. Most “meso” cases fall into one category. 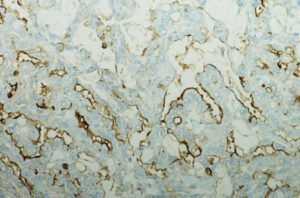 A micrograph of pleural mesothelioma, which is the most common form of mesothelioma. IN THE U.S., BETWEEN 2,000 AND 3,000 PEOPLE ARE FRESHLY-DIAGNOSED WITH MESOTHELIOMA EACH YEAR. THREE OUT OF FOUR OF THESE CASES, OR ABOUT 75 PERCENT, ARE PLEURAL MESOTHELIOMA, WHICH AFFECTS THE LINING AROUND THE LUNGS. IN ROUGHLY 15 PERCENT OF CASES, MESOTHELIOMA IMPACTS THE ABDOMINAL ORGANS, WHICH IS CALLED PERITONEAL MESOTHELIOMA. 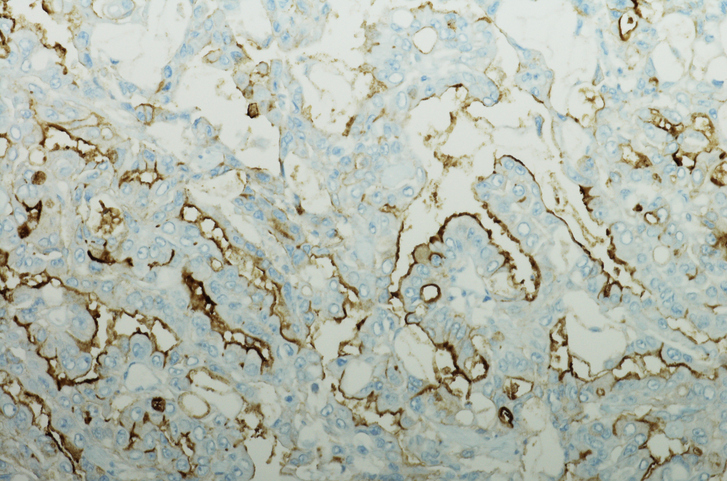 TESTICULAR MESOTHELIOMA AND PERICARDIAL MESOTHELIOMA ARE MORE RARE. It’s always life-altering to learn that you or a loved one has cancer. But mesothelioma patients in New York can take solace in the fact that local facilities such as the Memorial Sloan Kettering Cancer Center are among the best in North America at treating and managing cancer. You can also count on the fact that the experienced mesothelioma trial lawyers at The Williams Law Firm are dedicated to helping victims of asbestos exposure and their families secure just compensation for their medical expenses and suffering. If you or someone you love is sick with mesothelioma or another asbestos-related disease, please contact our lawyers in New York City online or by calling (855) 955-6376 . Our asbestos attorneys represent clients from Manhattan, Queens, Brooklyn, the Bronx, Staten Island, Upstate New York and nationwide.